Bhubaneswar: Addressing the valedictory ceremony of the National CA Conference 2017 here at Bhubaneswar as Chief Guest, Union Petroleum & Natural Gas Minister, Dharmendra Pradhan said, “New India is not possible without New Odisha”. 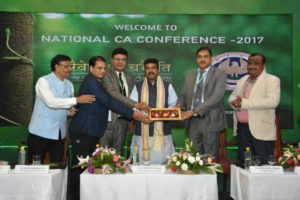 Pointing out thinking beyond singular topics like GST and Demonetization, Pradhan urged the CA fraternity of the State as well as Guest CAs of National repute to focus more on the overall growth of the state as well as the country. 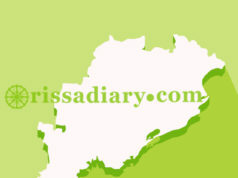 Hopeful of a better socio-economic environment the Union Minister said, “a new entrepreneurship eco-system is required along with making Odisha a manufacturing hub to create a new Odisha. During the valedictory speech of the Union Minister, he thanked the ICAI Bhubaneswar Branch for organizing such a National event in Bhubaneswar as it is emerging as a vibrant city of the Nation and he also reminded the audience of Odisha’s great maritime history and strength of Odisha in terms of vast coastline, mineral resources & structural expertise of Odias. 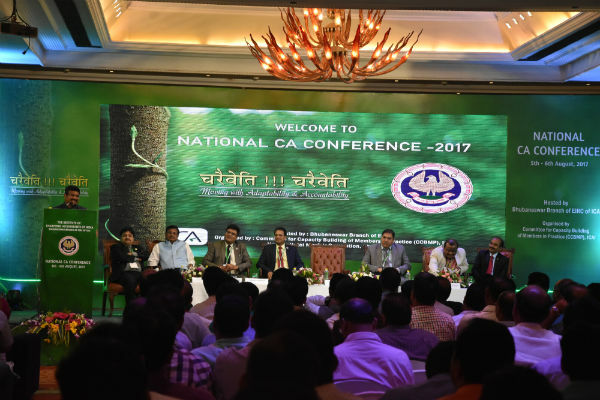 The two-day Conference was attended by around 1200 CA delegates where reputed Chartered Accountants like CA. Nilesh Shivji Vikamsey President, ICAI, CA. Mukesh Singh Kushwah, Chairman, CCBMP, ICAI, CA. Rajesh Sharma, Vice Chairman, CCBMP, ICAI, CA. Manish Goyal, Chairman, CA. Ranjeet Agarwal, EIRC of ICAI, CA. Sarat Chandra Bhadra, Organizing Committee, CA. 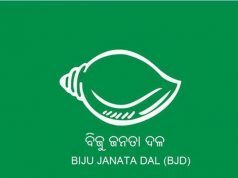 Rashmi Ranjan Mishra, Chairman, Bhubaneswar Branch and CA. Sugyan Kumar Sahoo, Secretary, Bhubaneswar did brainstorming on various current issues relating to taxation, accounting and finance in 6 different sessions.In the second day, three technical sessions were held in which eminent speakers spoke on various subjects like Goods and Service Tax (GST), Internal Financial Control (IFC) & Recent Changes in Company Law 2013 and Insolvency and Bankruptcy Code 2016. Apart from that, the Inaugural day witnessed in-depth discussion on the subjects like Direct Tax – Provisions relating to Benami Transactions and Cash Transactions and Income Computation Disclosure Standards (ICDS) where the speakers enlightened the gathering on the key areas of importance.